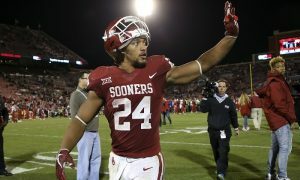 The Sooners were able to avoid the upset they suffered against the Cyclones in 2017, but to say revenge came easy would be a lie. 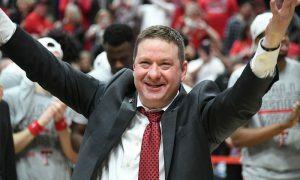 Oklahoma went to Ames and beat Iowa State 37-27, but in typical Matt Campbell fashion, his team held its own and exceeded most expectations. 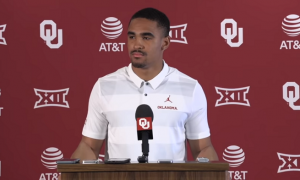 For the Sooners, it was the team’s first game without Preseason All-Big 12 running back Rodney Anderson, who was lost for the season with a knee injury suffered last week against UCLA. 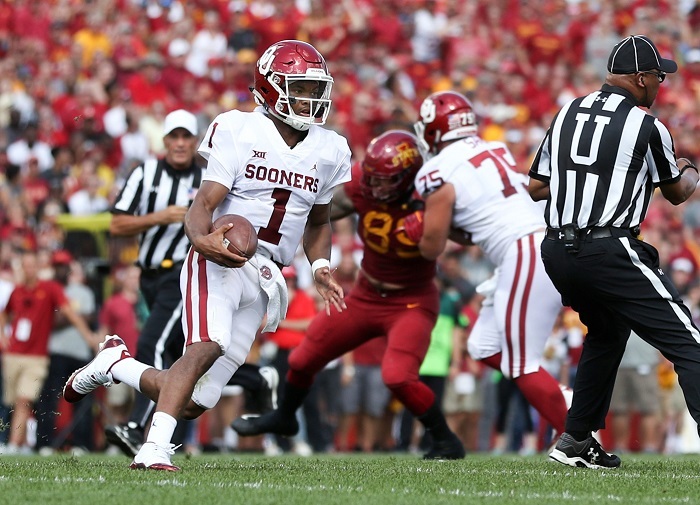 In his absence, the Sooners were still able to rack up 171 rushing yards, with quarterback Kyler Murray leading the way with 77 rushing yards on 15 carries. Murray went into his first true road start of his collegiate career and passed the test with flying colors. Despite starting a handful of games at Texas A&M in 2015, they all came at Kyle Field. Through the air, Murray was an efficient 21-29 for 348 yards and three touchdowns. He was able to hook up with his favorite target, Marquise Brown, nine times for an incredible 191 yards and a score. Their touchdown hook up was a 75-yard bomb that showed off Murray’s ability to stay in the pocket and hit the deep ball. But maybe that concern is only held by OU and A’s fans? Linebacker Curtis Bolton doesn’t think anyone should be concerned, adding, “He’s not going to get hit. He’s way too elusive.” Murray has nearly $5 million reasons to make sure he doesn’t get him. 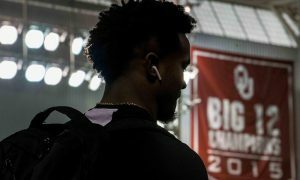 While there were certainly reasons to be concerned about the defense, especially cornerback Parnell Motley, the Sooners offense proved that it is not going to miss a beat from last season. Iowa State is one of, if not the best, defense in the Big 12 Conference, and the Sooners were still able to pile up 519 total yards, 12.0 yards per pass and 4.4 yards per carry. Trey Sermon got the start at running back and was able to rush for 74 yards on 13 carries with a touchdown. 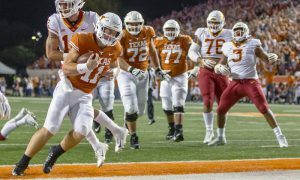 Marcelias Sutton added 9 carries for 21 yards and got a scare when he appeared to suffer a knee injury in the second half, but he was able to return in the fourth quarter. 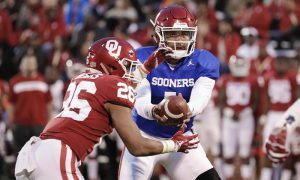 One quarter of the way through the season, OU’s offense hasn’t lost a step and the program just knocked off the only team to beat them in the regular season last year. 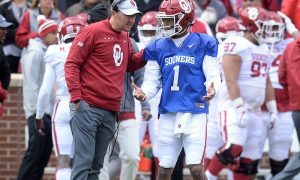 With the toughest test of the early season passed with their new quarterback at the helm, there’s continuing to be plenty reason to be very optimistic about what Lincoln Riley’s program has going in 2018.